Reform Bank Tractor hire with skilled operators transported countrywide. 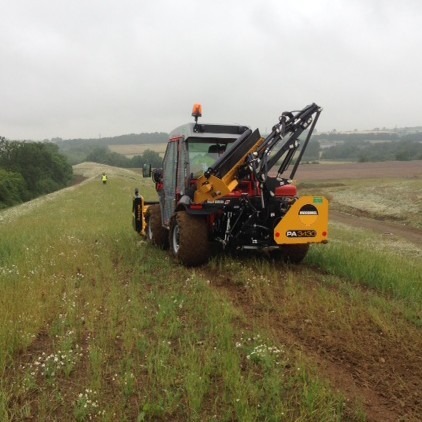 The reform is a ideal for cutting vegetation on banks, often where other machines cannot operate safely. It has a range of equipment including a side arm flail and a mounted rotary flail deck. The cab is enclosed and the vehicle is chapter 8 sign written for road and highway use. The eco-friendly all-rounder. Powerful. Agile. Versatile. Top driving comfort: Closed deluxe cab with generous space, excellent all-round view, new display with best readability and ease of operation, new air conditioning with enhanced performance.